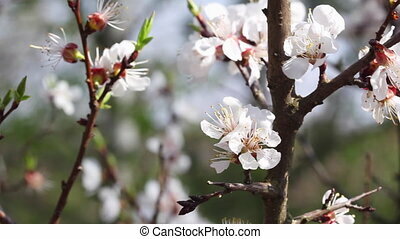 Apricot tree branch blossoming in spring orchard. 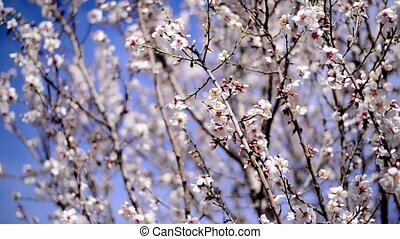 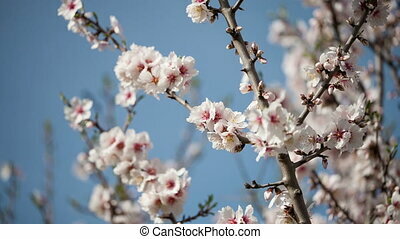 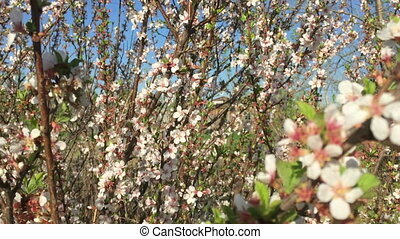 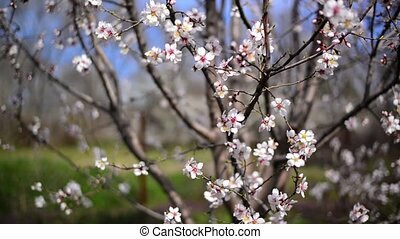 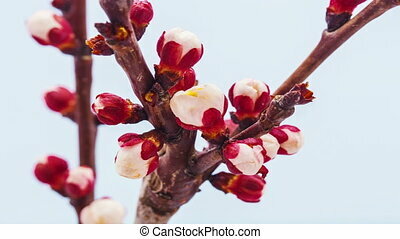 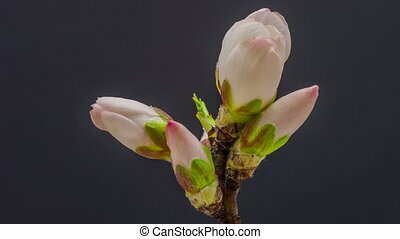 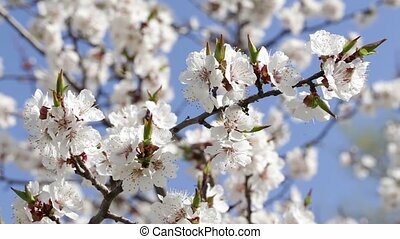 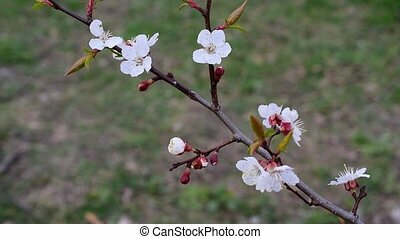 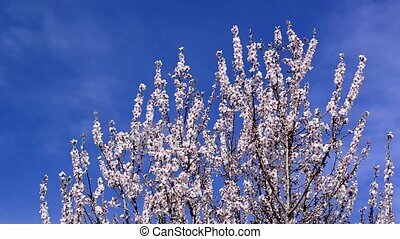 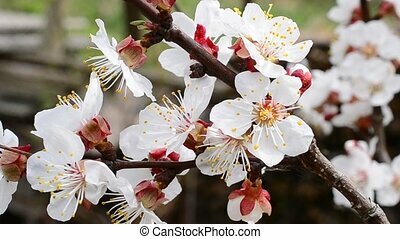 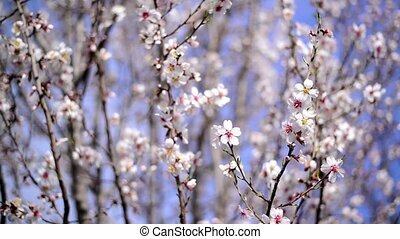 Blossoming apricot fruit tree branch with beautiful flowers stirred by breeze in spring with leaf buds starting to open. 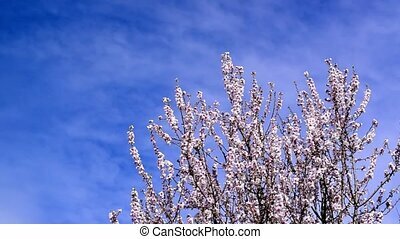 Prunus armeniaca. 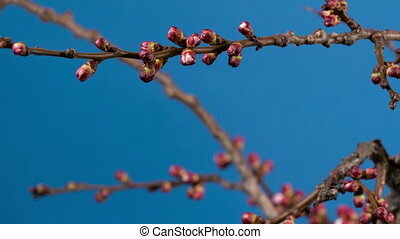 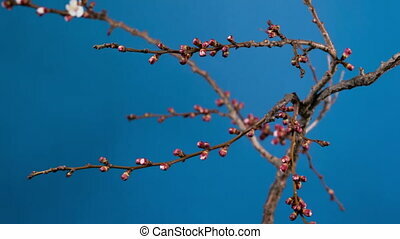 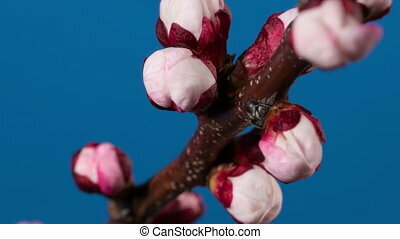 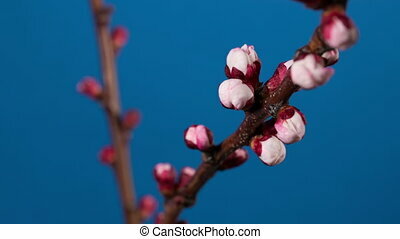 Timelapse video of an apricot flower tree blossoming against a blue background. 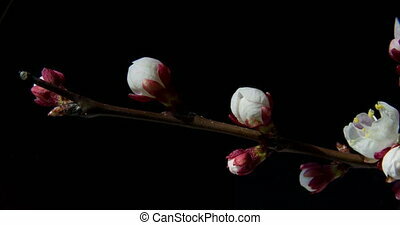 Timelapse video of an apricot flower tree blossoming against a dark background. 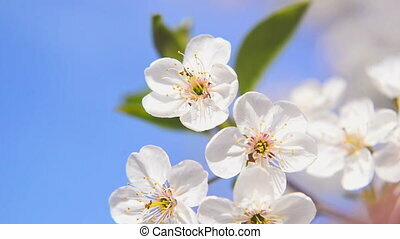 Apple blossoming flowers in the spring as seasonal background. 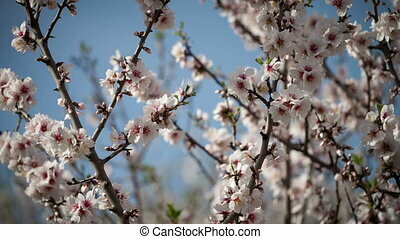 1920x1080, 1080p, hd footage. 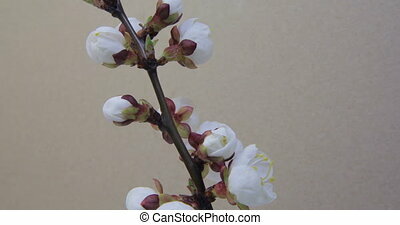 Cherry blossoms in spring, branch of cherry tree with white blossoms. 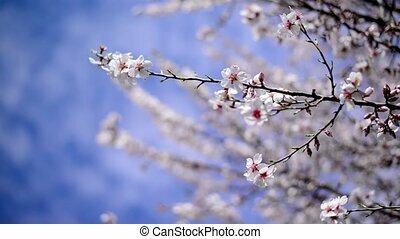 Spring season. 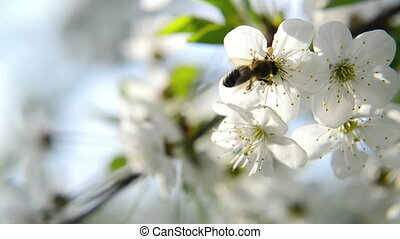 Bee collecting pollen from white pear blossoming flowers. 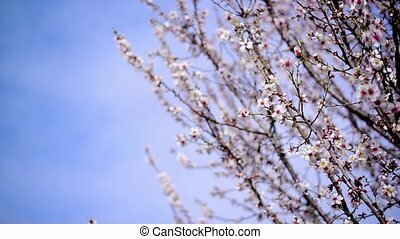 Spring season. 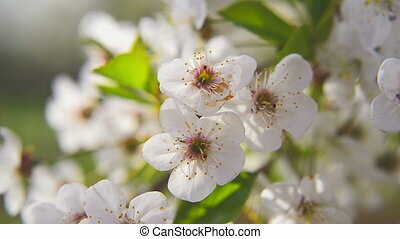 Cherry blossoms in spring, branches of cherry tree with white blossoms. 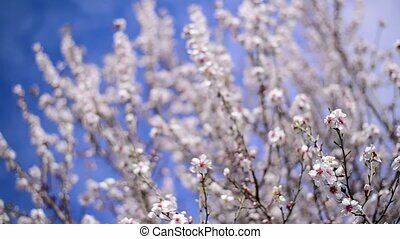 Spring season. 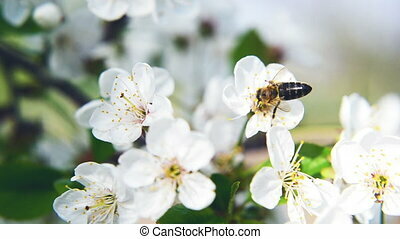 Bee collecting pollen from white pear blossoming flowers. 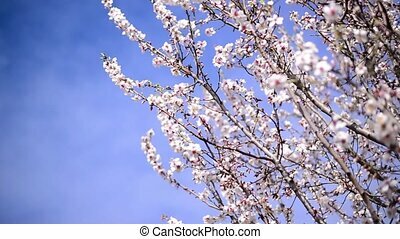 Spring season. 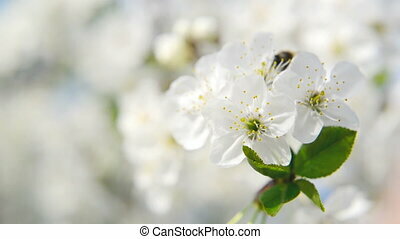 1920x1080, 1080p, hd format.